Librarians answer nearly 12,000 research and reference questions. Librarians provide research instruction to nearly 20,000 individuals. 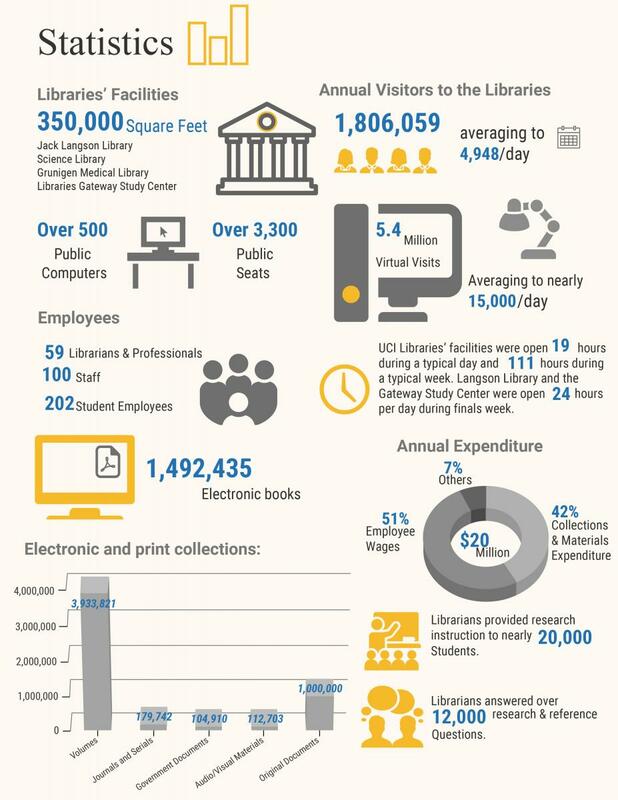 UCI Libraries’ buildings receive over 1.8 million visits (averaging to over 4,900 per day). The Libraries’ website receives nearly 5.4 million virtual visits (averaging to over 15,000 per day). 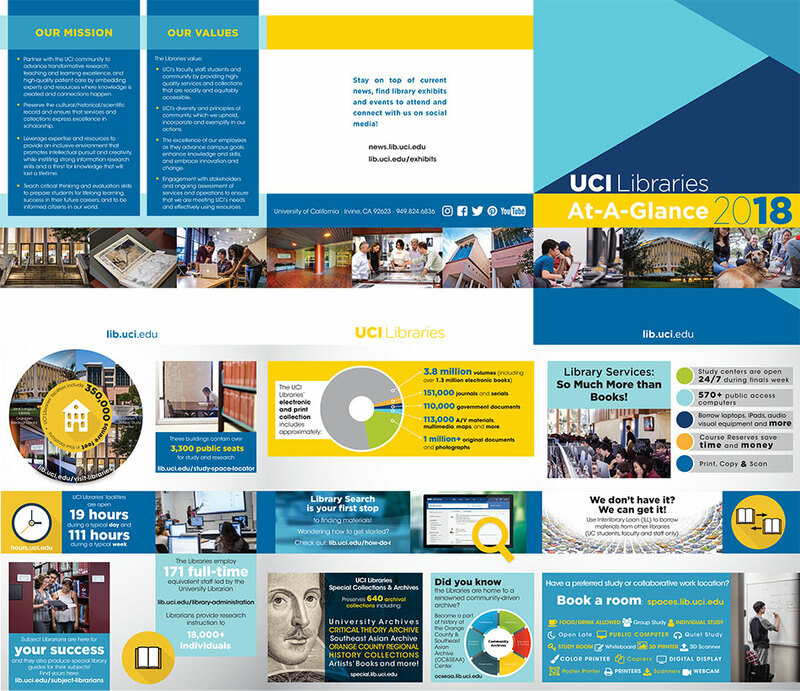 UCI Libraries’ facilities are open 19 hours during a typical day and 111 hours during a typical week. Study centers are open 24 hours per day during finals week.